You see it in the news – deadly ATV crashes. Leaders from several states have enacted ATV laws to increase safety among ATV operators and riders. Their hope is that these laws will reduce the number of serious injuries and deaths that result from ATV-related accidents every year. 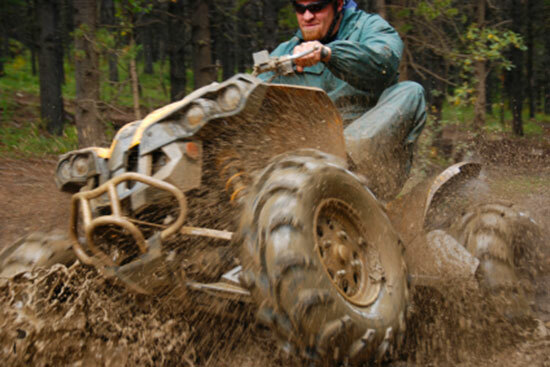 At Edgar Snyder & Associates, we know how serious injuries can change peoples' lives, which is why we want everyone to know Pennsylvania's ATV laws and to follow safety tips to avoid accidents when four-wheeling. You must operate an ATV with a lighted headlight and taillight when other persons, vehicles, or objects are not clearly discernible for a distance of 500 feet ahead. All ATVs must be titled and registered. Every ATV must have its own numbered plate, and you must renew the registration every two years. No one under the age of 8 can operate an ATV on state-owned land. No one between the ages of 8 and 15 may operate an ATV unless it is on a parent's or guardian's land, or the individual has participated in an ATV safety training course and has a safety certificate, of if they are under direct supervision of a certified ATV safety instructor during the course. No one under the age of 16 may cross a highway or ride on a designated road unless they have a safety certificate and are accompanied by an adult age 18 or older. Riding an ATV on a street or highway is prohibited, unless the road is designated as an ATV road or the driver needs to cross. Currently, there are 43 other states that also have ATV registration and safety laws. Visit our ATV Law Map for a state-by-state guide to ATV laws. If you, or someone you love, were injured in an ATV accident, it's important to contact Edgar Snyder & Associates right away to learn your legal rights. You may deserve compensation for your injuries, missed work time, and pain and suffering – but there's only one way to find out. Call 1-866-943-3427, or fill out the form at the top right of this webpage for a free case review. You tell us about the situation that caused the ATV accident and your injuries, and we'll tell you if we think you have a case. It's absolutely free, and there's no obligation to use our services. And remember, there's never a fee unless we get money for you – so you have nothing to lose. Get started today, and protect your legal rights now.